This Crab Cream Croquette uses real crab caught in Tottori Prefecture's Sakai Harbor. 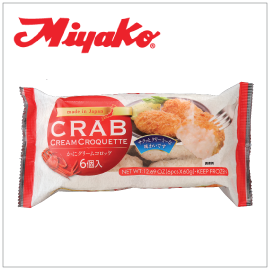 The rich crab flavor and creaminess are further enhanced by the use of real crab extract. To use, deep fry croquettes in 350-360 degrees F for 5-6 minutes.